Why Is My Central Heating So Noisy? Identifying the type of noise you are hearing will help an engineer to diagnose the problem. Disembodied noises in the home are unsettling, especially when they make an appearance in the middle of the night with nothing but an active imagination to keep you company! Reassuring though it is to realise it’s not a ghostly presence, the relief is short lived as it almost always means that all is not well. What is ‘kettling’ in a boiler? A noisy boiler is often described as ‘kettling’ which means whistling, clunking, knocking or banging. Your boiler heats water using a heat exchanger plate which, much like a kitchen kettle, builds up a coat of limescale over time. The limescale flakes away and floats to the bottom. Over time this limescale restricts the flow of water and means the heat plate is heating hot water, but can’t send it off round the house as usual. This trapped water then boils, steams and expands in the system which creates pressure and ‘kettling’ noises. 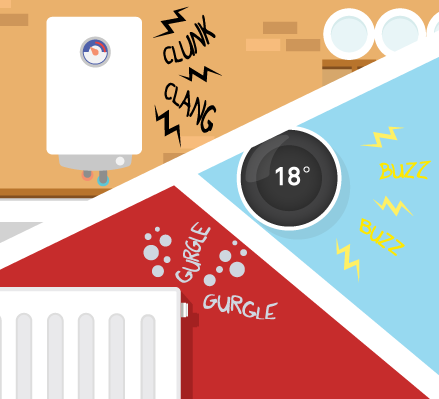 It may sound as if the boiler is about to explode but don’t panic; modern boilers are equipped with safety devices that will turn the system off if they detect too much pressure. It is not, however, advisable to ignore the noises as this problem will reduce your system’s efficiency and cause long term damage. It’s also possible for other substances like rust and dirt (affectionately referred to as ‘sludge’), or even air, to build up in the system and cause blockages. We’ve put together a short overview of the different kinds of noises you might be hearing and what they usually mean, however we always recommend getting a diagnosis by a professional engineer before taking any action. 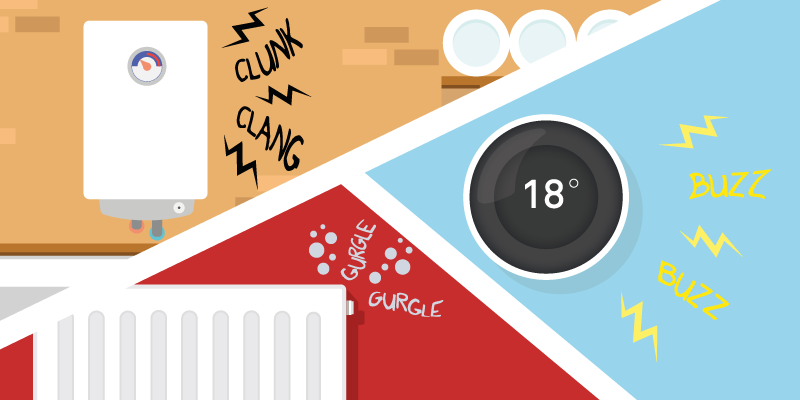 What do my boiler noises mean? Whistling: Whistling is a noise associated with limescale build up and kettling, but could also indicate trapped air somewhere in the system or a loss of pressure. While it should be relatively simple for an engineer to release the air, the problem is probably being caused by a fault elsewhere so may need some investigation. Gurgling: Air in the pipes or radiators may cause gurgling noises which can be sorted by bleeding your radiators, but is also associated with frozen condensate pipes. Knocking in pipes: When hot water passes through pipes in your house, the heat causes them to expand and contract and this can be totally normal for your system, but in some cases it may be that the pipes are not fitted in the correct position e.g. too close to floorboards. Tapping pipes or radiators: Tapping noises could indicate a buildup of limescale or sludge which can be treated with a professional Powerflush. Humming or vibrating: This could mean that your heating elements are not working at their best e.g. the thermostat, central heating pump, pressure gauge or filling loop. This might be a case of adjusting settings or checking connectors, but could also suggest a fault. To sum up, it’s important that you don’t ignore unusual sounds coming from your central heating. Even if things seem to be working fine at the moment, the system is giving you a not so subtle warning. At the very least this could be making your system less efficient and costing you more in energy bills, or it could be something that worsens over time causing damage that could be both costly and dangerous. 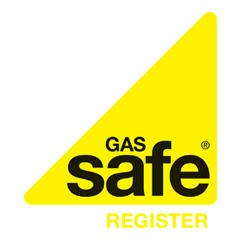 Boiler Guide can put you in touch with up to 3 Gas Safe registered engineers in your area who will diagnose your noisy boiler and give you some professional advice.